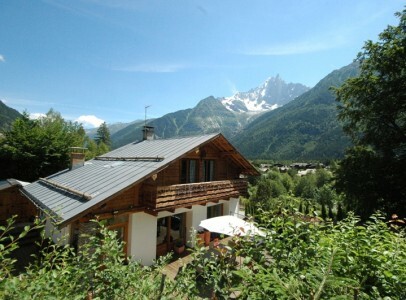 Chalet Charlotte is a traditional and attractive 4 bedroom chalet in the highly sought after les Nants area of Chamonix. 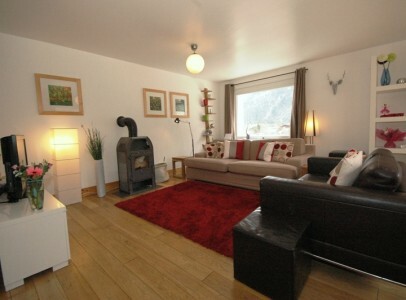 Of traditional style, the chalet was extensively renovated in 2009 giving it a modern, open interior. 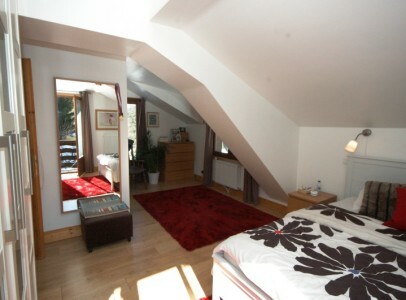 The accommodation is arranged on 3 floors, the main floor offering a good-sized open plan living room with dining area and modern fully-fitted kitchen, opening out via two sets of French doors onto the terrace and garden. 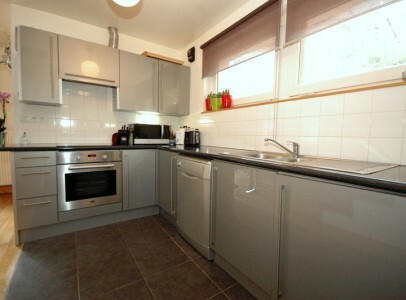 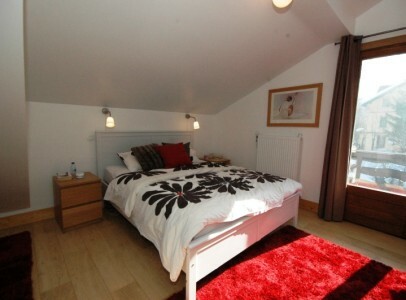 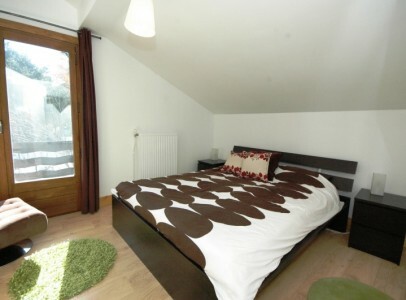 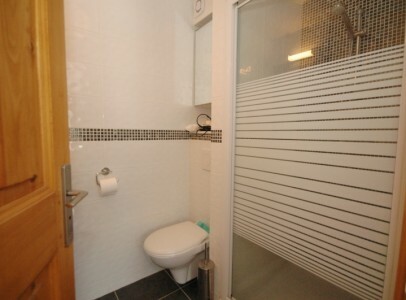 The first floor comprises two double bedrooms, one with an ensuite shower room and both with access to the balcony. 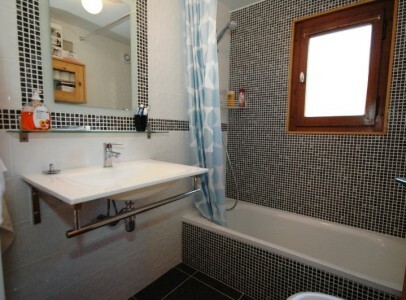 There is also a separate bathroom and a large, under-eaves, storage area. 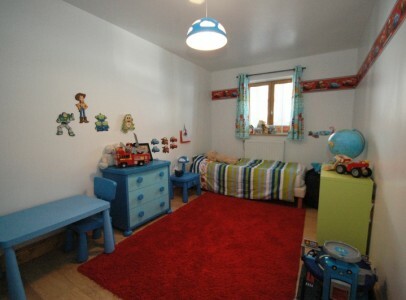 On the lower ground floor, there are two further good sized bedrooms, a family bathroom, a TV/sitting area, a utility room and a storage room. 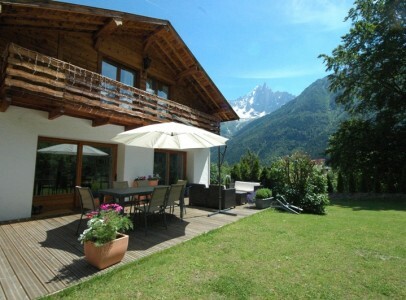 Being on the south-facing slopes, the chalet enjoys lots of sun, light and panoramic views of the Mont Blanc range. 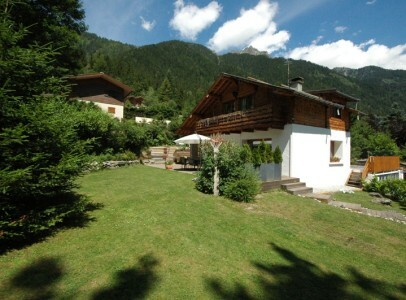 To the front of the chalet, there is a pleasant terrace and garden. 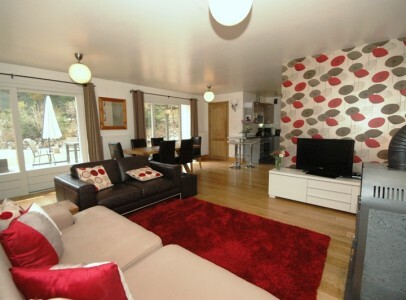 To the side, there is a terraced area and storage shed plus a large terrace to the rear of the chalet. 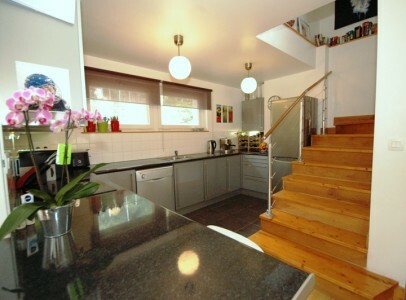 There is parking for 2-3 cars. 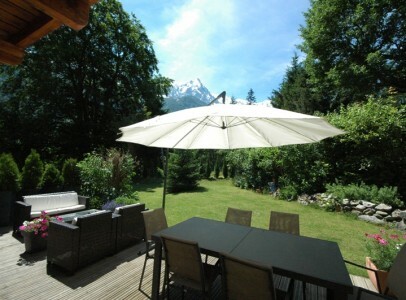 Les Nants is a sought after area for good reason – it enjoys lots of sun, but also fabulous, open views of Mont Blanc, les Drus and the surrounding peaks. 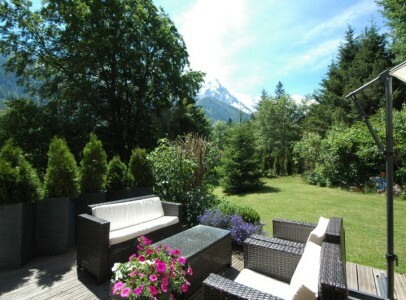 It is a pleasant 20 minute walk along the river into the centre of Chamonix. 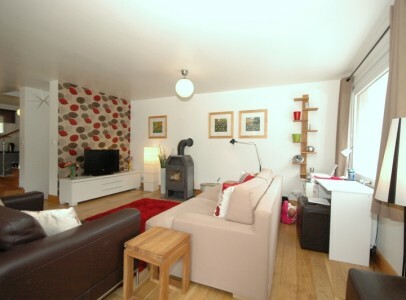 The interior is modern and stylish with 4 good sized bedrooms, lots of storage and the exterior has been well thought out to provide lots of entertaining space and an attractive garden. 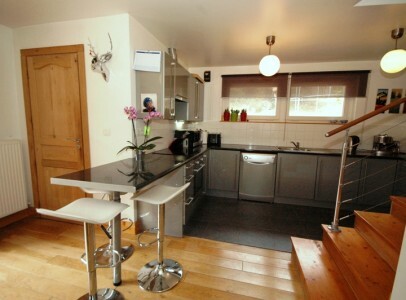 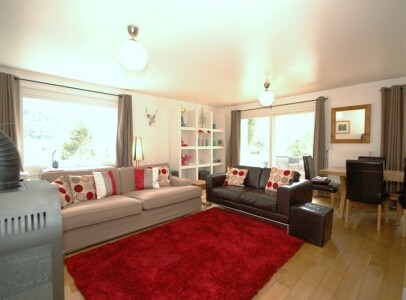 Presently used as a family home, it would make a strong rental chalet too.